What factors are increasing the workload – and business risk – of labor compliance. Why employee fatigue is a serious concern, and what programs are being used to address it. How the cloud, labor analytics, and other big ideas are placing new demands on workforce management systems. Find out today! 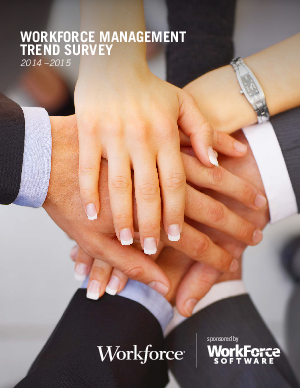 Download the Workforce Management Trend Survey now!